Fundación de Libertad is born! Fundación de Libertad was created as an umbrella organization in the winter of 2007 from ongoing collaborations between the community of Batey Libertad, the University of Vermont, and non-governmental organizations working in the Dominican Republic (DR). We are a coalition of organizations working in the DR to build a foundation of health, education, and human rights from which freedom (libertad) can emerge both locally and worldwide. The foundation has its roots in the community of Batey Libertad in the heart of the Cibao agricultural valley northwest of Santiago, Dominican Republic. Similar to hundreds of bateyes throughout the country, Libertad is home to both Dominican citizens and migrant workers from Haiti, originally established by the Dominican government in the 1940s as a work camp for state-supported agriculture. 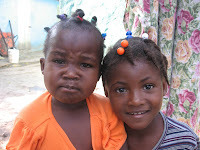 The legacy of bateyes today is one of extreme poverty, isolation, and lack of access to basic needs and human rights. 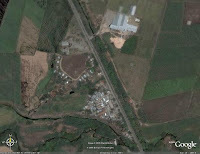 Bateyes are physically isolated from Dominican society amidst the cane and rice fields of the DR; socially marginalized through a history of racism, military and police raids, and routine denial of rights of citizenship, health care, and education; and economically vulnerable to international commodity price swings, seasonal labor demand, and a general lack of land ownership and social services. To build a new legacy of sustainable livelihoods and equality, Batey Libertad works in solidarity with a network of U.S. and Dominican universities, non-governmental organizations, and volunteers from around the world in the broad areas of health, education, and human rights. 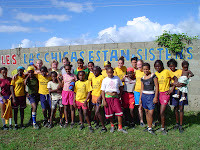 Projects include community health clinics and advocacy, education scholarships, language and computer literacy classes, documentation for citizenship and migrant workers, youth sport and leadership development, HIV/AIDS prevention education, and home construction and community infrastructure through service-learning trips and university classes. Support for these projects is generated through grassroots fundraisers, direct sponsorship of students and families affected by chronic illness, equipment and medicine donations from businesses and soccer clubs, and community visits and home-stays by students and other volunteers. This blog (originally at Google Blogspot) was founded as a clearinghouse of sorts to provide updates on all the goings-on at Batey Libertad and the growing network of communities that these projects and the good people of Libertad have touched. We hope this small step can help us all keep in touch, informed, and empowered. Men anpil chay pa lou.